Organised by volunteers of the Rotary Club of Scarborough for the past 26 years, the Karrinyup SwapMart (Swapmeet) is held every Sunday morning at Karrinyup Shopping Centre unless indicated on this page. Please note SwapMart will be closed on Easter Sunday 16 April, 2017. SwapMart takes place in the undercover parking area in the north-east corner of the centre (Corner Davenport St and St Francis Ave, east of the David Jones end). SwapMart is Scarborough Rotary Club’s major fundraising activity and all proceeds go towards the Club’s projects. 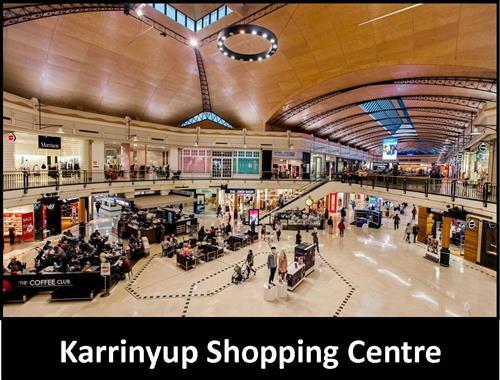 Special thanks go to Karrinyup Shopping Centre management for their ongoing support. Buyers: SwapMart opens at 7:30am to buyers. Entry is $1 and children have free entry. Please leave dogs at home as they will not be allowed in. Please like our facebook page www.facebook.com/KarrinyupSwapmart. Sellers: Sellers are admitted into the undercover area at 6:45am but should consider entering the queue around 6am. When rain or very hot days are forecast there will be more sellers than usual and therefore some sellers may be turned away because the Swapmart is full. Sellers should queue in the carpark on the corner of Francis St and Karrinyup Rd and queue as per the diagram below. Sellers are charged $10 per bay occupied. The Department of Commerce allows the sale of pre-used goods (secondhand goods) only. By law, SwapMart sellers are not permitted to sell food, new goods or craft work. Please be vigilant as shoplifting can occur – report any incidents to the organisers. For public safety, sellers are not permitted to move their vehicles between 7.30am-10.30am. No dogs are permitted in the selling area. For enquiries contact the Coordinator - 0459 582 840.